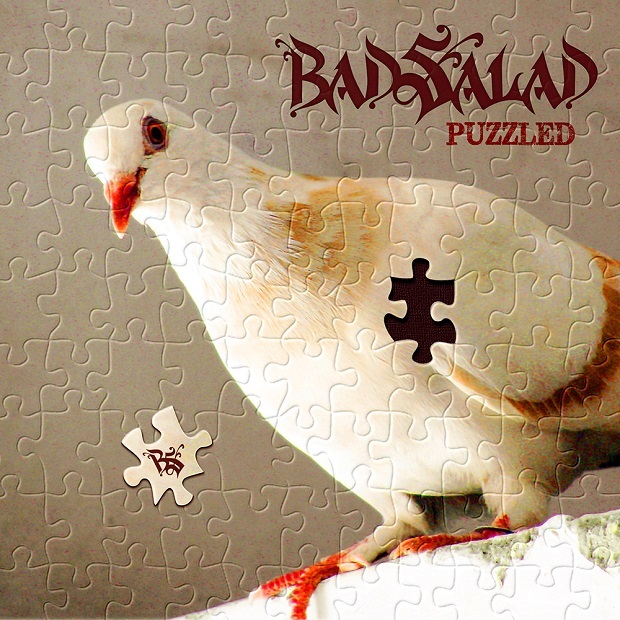 Hailing from the capital of Brazil, progressive metal quartet Bad Salad led by brothers Thiago and Felipe Campos released an EP entitled Puzzled in 2013, the band’s second release after groundbreaking debut Uncivilized. With two strong releases and huge amount of talent, their hard work has proved worthwhile resulting in an invitation from Mike Portnoy for the upcoming Progressive Nation at Sea cruise. 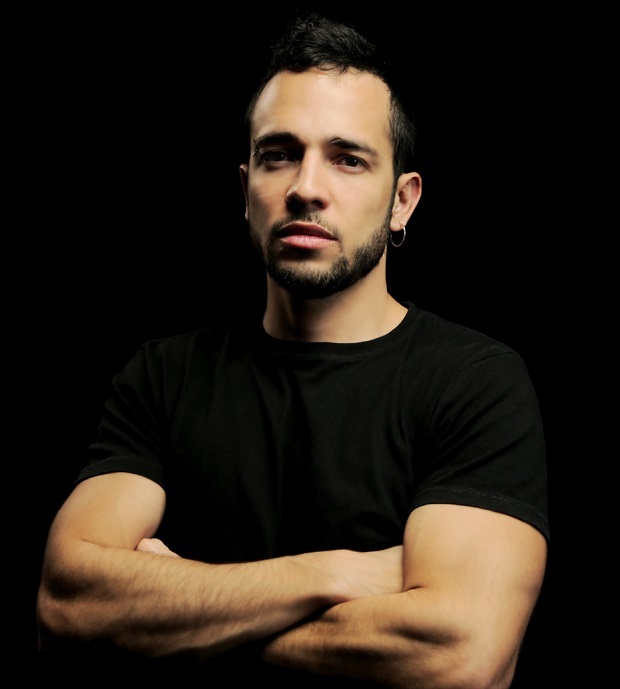 Prog Sphere spoke to guitarist Thiago about the cruise itself, their work, crowdfunding, among other things. Define your mission with Bad Salad. Our mission from the get go has been to write and play music that inspires us! We’re all music lovers, and we have to love our music before anyone else does. Songs are greater than the bands that write and perform them, and greater than the individual musicians. Bands and musicians come and go, but great music lasts forever. We have to keep that in mind, have a lot of respect for the music we make, and do it for the right reasons. So many artists do it for the money, or to please this or that group of fans, or the label. Or they get lazy in the comfort of their routine of success and stop caring. We’ve seen so much of it happen unfortunately, even with some of our favorite artists, and ultimately the music suffers. We’re very conscious and very self-critical of our work! We feel that if we’re making music we truly believe in and are able to enjoy it ourselves then that emotion will translate into other like-minded people and entice them and they will join us on this crazy journey! What evolution do you feel Puzzled EP represents for the band comparing with the debut full-length Uncivilized? Musically ‘Puzzled’ is a continuation of ‘Uncivilized’. We didn’t stray too far off from the writing style of the debut. The songs are long, the melodies are strong, they have about the same dose of solos and instrumental sections, and are a healthy mix of mellow to metal and everything in between, just like on ‘Uncivilized’ but in a shorter format. They could have been released on the same album and it would’ve made sense. I’d say the songs on ‘Puzzled’ are a bit more concise though, probably because of our musical maturity over the last few years. There were 3 big differences between the 2 albums though, which we felt more than it might be evident in the music. For starters, we had less time to write and record ‘Puzzled’ than ‘Uncivilized’. We started writing the songs on ‘Uncivilized’ back in 2007. Being our first album, we had no deadline, no one was expecting it. We were completely unknown back then and writing music for ourselves, with zero pressure, so we could spend 5 years before releasing anything. For the follow-up however, especially a crowd-funded one as ‘Puzzled’ was, there is a deadline and a pressure to deliver the goods. We now have fans and they have expectations and they are on top of every update we post. That was a huge difference for us, and something we had to go through to be promoted from the garage into the world! The 2nd major change was having a keyboardist in the room since day 1, working from the writing process up. The songs on ‘Uncivilized’ were all written while Caco, Felipe and I were a “power trio”. Later on when the songs were about done we hired César Zolhof, under our supervision, to add keyboards to them. We had many keyboard parts drafted out already, and obviously left room in the songs for both keyboards and vocals, but they were entirely written just with guitars, bass, and drums. This time around we had our south-Korean friend Junghwan Kim jamming out with us in the rehearsal room and contributing to the actual writing of the songs and not just the keyboard parts. The 3rd major “behind the scenes” difference was that we decided to go completely independent for the production of the EP. We were already pretty independent on ‘Uncivilized’, but we did record drums on a local studio, had the album mastered at Sterling Sound in NYC, and hired an amazing CG artist called Bastien Grivet to work on the album cover and booklet artwork. We’re happy with how it turned out, even though we did make a few bad mistakes we learned from, but it was a very expensive adventure for an unknown independent band just starting out! For ‘Puzzled’ we decided to cut the costs and gain more control of the end product. We geared up and tracked drums ourselves at Caco’s room, then we recorded everything else in my own home-studio. 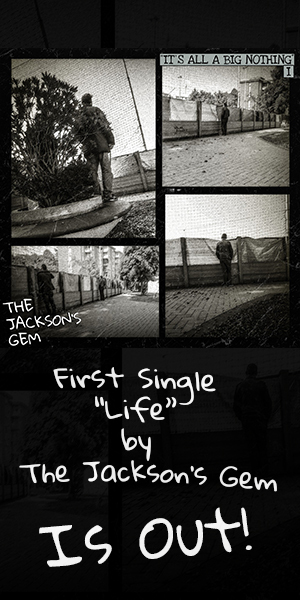 I engineered, mixed, mastered and even did the cover artwork myself this time, and we are very happy with the end result, and I think the fans are too. Tell me about the creative process and approach that brought Puzzled forward. One of the main goals in doing this EP was to see how the writing chemistry was going to be with keyboardist Junghwan Kim. He had toured with us playing the songs on ‘Uncivilized’, which was an amazing experience, he totally killed those songs, but we wanted to know what it was like having him in the room making music with us. We thought a 3-song EP was more than enough to benchmark our south-Korean brother, and it was also a great excuse to release some more music quickly so we would remain on the fan’s radars and have enough of our own music for a full live set. With the exception of ‘Moonlight’, which I had previously written on my own while we were still recording “Uncivilized” (it might have made it into the debut had it not been full to the point of dripping songs off the border of the CD already), the other 2 songs were done as a band inside Caco’s rehearsal room. The release of Puzzled EP was crowd-funded through a Pledge Music campaign. Are you satisfied how it turned out? I’m very happy with how it turned out! We weren’t sure how the fans would take it, if we had set a realistic goal, or if we would have any support at all. You put yourself in a very vulnerable position when you do something like this for the first time. I mean, you’re asking for people’s hard earned money based on a promise. It’s crazy if you consider we’re a new band who barely had any previous material to show. Thankfully the fans embraced it! 300 beautiful acts of faith were enough to surpass our goal and set the green light for ‘Puzzled’, or “Summer Salad 2013″ how it was called then! What, in your opinion, is crucial for a crowd-funding campaign to be successful? For it to be successfully funded you have to have a bunch of passionate fans who are willing to bet on your art! You don’t really know how many fans you have unless you do something like this. Social media numbers are often deceiving, and when there’s money involved you discover the true fans, the ones that’ll make a difference in the long run of the band’s career. That’s just the funding aspect though. For the campaign to be fully successful these die-hard fans have to feel happy in the end when all’s done and fulfilled! They have to be proud to have been a part of something really cool! They’re not buying music, music is free these days, it has been for over 15 years now! They are buying the experience, and MAKING music! Music they love! That’s what’s special about it. The artist has to keep that in mind, set realistic goals, work hard to fulfill them, and treasure these die-hard fans, going the extra mile to make their experience unique! What is your way of documenting the music while it’s being formulated? If I’m writing something at home I usually open up my DAW, record guitars and immediately program drums, keys and bass. My ideas and demos are usually pretty polished before I even present them to the guys. When we’re writing as a band at Caco Gonçalves’ place we usually turn the camera on at the end of the session and film the songs or sections we worked on that day. That’s useful not only to document the music so we don’t forget it, but also to watch back as a “listener” and make notes of parts that need work. It’s funny how your perception changes when you’re not concentrated on playing your parts and just sit down to listen to the song. That’s our way of periodically wearing our producer hats so we keep things in perspective. When we’re 100% happy with the song’s arrangement I’ll eventually take it home and program it into the computer so we have an instrumental demo of it. Bad Salad is one of the bands selected to play the upcoming Progressive Nation at Sea cruise. You will be among many great artists. What are your expectations from this journey? We’re still trying to digest the amazing news! It’s still very surreal to us! Being hand-picked by one of our greatest idols among over 180 entrants to play on the greatest prog event ever is such an honor! 2014 couldn’t have had a better start for us. The lineup on that thing is ridiculous! Totally over the top, at least a tenfold. Mike Portnoy is truly the ambassador of prog. Besides running around the ship like excited little 13yo girls with Justin Bieber backstage passes while we shift from one amazing gig to the next, we expect to put on a great show, meet our fans, hopefully make some new ones, meet the other artists, make some friends and connections, and have a great time with our family and friends. We’re also going to have our set filmed, so who knows, a DVD might come of it. What will your setlist look like for the cruise? You have enough solo material for a full show, but will you be throwing any covers in it? We are actually having a hard time choosing the setlist! At first it was announced that we would be playing a 30-45 min set, which in Bad Salad Land equals to 2-3 songs. After the schedule was announced we were informed we’d have 1 hour of show time. Much better, but that’s still like 5 songs, so I don’t believe we’ll be playing any covers. That is, unless Mike Portnoy invites us to play a cover with him or something. That would be awesome, and we’d definitely be up for it! Are you satisfied with the feedback you received on your music from both the media and fans? We are extremely proud and thankful of the fans we have and the feedback they’ve given us these years! They’re the ones keeping this band alive and growing with their trust, direct support and tireless word of mouth promotion! The media however has been on the slow side I must say. Great things have been said about our releases here and there, but few and scattered and restricted to the online domain. We haven’t had stories or reviews published on magazines so far. It’s a rough world for independent artists who are just starting out. The bigger media outlets only accept material from labels, and everything is so expensive for the “outsiders”. To make matters even worse, there are a lot of ill-intended people out there dressed as “PR companies” willing to take money from the poor new inexperienced indie artists without doing much for them at all. We’ve encountered a few of them during our short path up to here, and at this point we’re happy with the help of our amazing fans and just letting our music speak for itself. We’re confident the exposure will come with time and hard work. Where do you draw your inspiration from, and how do you go about channeling it into writing? Inspiration is hard to trace back to its origins. We’re inspired by so many things, but I guess mostly by all the great music we grew up listening to. That’s deeply ingrained into our DNA and manifests itself in variety of ways and in the weirdest of moments at times. I have this thing where I get all of my best musical ideas while I’m taking a shower. Sometimes the music just flows in my mind while the warm water is pouring down, as if I pressed the play button in my head, but only the music doesn’t exist yet. It’s a funny phenomenon and not so practical since I have to memorize what I came up with long enough to get out of the shower and pick up the guitar half-naked to record it under the risk of being electrocuted. How do you know when a piece is complete? We know it’s complete when we listen to it back to back and smile all the way through. If we feel iffy about a section, a transition or whatever, or feel it’s missing something important we’ll discuss and work on it some more til we’re 100% happy. It can be quite tedious and frustrating at times, but the effort is worth it in the end. Do you follow any predefined patterns when composing? Not really. Every song is different. I might have a riff I bring in from home, or maybe a whole section, or a melody. It might be an intro riff, or something that ends up being a chorus or a bridge. A song might start from a groove or a cool drum fill Caco plays on the spot, or a funky bass line by Felipe. It might start with a theme on the guitar that later isn’t even played on the guitar, but rather on the keyboard instead. It might start with a theme that develops into a song but at the end the original theme isn’t on it.. It’s happened. On occasions I have whole songs, or at least long sections, I bring in to the band. Sometimes we’ll totally rip’em apart and rebuild them, and other’s I’ll be very specific about preserving what I had in mind so the band respects it. We definitely have patterns of documenting, demoing, and recording the songs, but the spark that gives birth to each one of them can be pretty much anything. What non-musical entities and ideas have an impact on your music? Movies, everyday life, personal issues, religion or lack thereof, big political and sociological happenings around us. Are you working on any new Bad Salad material at the moment? As a matter of fact we are. Actually, we were, now it’s on stand-by. While I was mixing ‘Puzzled’ we had this surge of creativity, Felipe and I brainstormed and blueprinted out the 2nd full-length album and presented it to Denis and Caco, who thought it was very cool! So we are definitely set on the direction for it! I was so inspired at the time I wrote down ideas and parts for most of the songs, and even an entire song, with lyrics and everything. It was actually quite a bittersweet experience being flooded by inspiration while having to mix an EP that was long due to the fans, having to stop every 10 min to record something so I wouldn’t forget it, but I guess that’s a great problem to have. I eventually managed to contain my mind and concentrate on releasing ‘Puzzled’. Now we have the blueprints for the next album and a folder full of great ideas to work on sometime after we’re done touring, which should be towards the end of the year. How would you describe what you do with Bad Salad to someone who didn’t listen to you before? We write and play long crazy songs with 3 billion notes you can’t dance to that only guys will like. Then I’ll ask if they know Dream Theater, Rush, Metallica, to hopefully get’em in the ballpark, but we’ll probably just end up talking about soccer, what they do for a living or something else normal. What lies in the future for Bad Salad? What do you hope to accomplish at the end of the day? We’re going to keep on making music we love, and touring wherever and whenever we can alongside our day jobs and other activities. Hopefully this dream of ours becomes big enough so we can put aside the distractions and give it our all! We will work towards that goal, song by song, fan by fan! Purchase Puzzled EP from CD Baby.